Uttarakhand Revenue (Rajaswa) Department invited applications for recruitment to the posts of Patwari and Lekhpal. 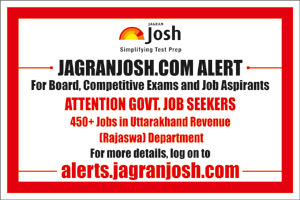 Uttarakhand Revenue (Rajaswa) Department invited applications for recruitment to the posts of Patwari and Lekhpal. The candidates eligible for the post can apply through prescribed format on or before 10 November 2015. Educational Qualification: Candidates having Graduate degree can apply for the post of Patwari & Lekhpal. Eligible candidates can apply to the post through the prescribed format and send the applications along with other necessary documents so as to reach on or before 10 November 2015.